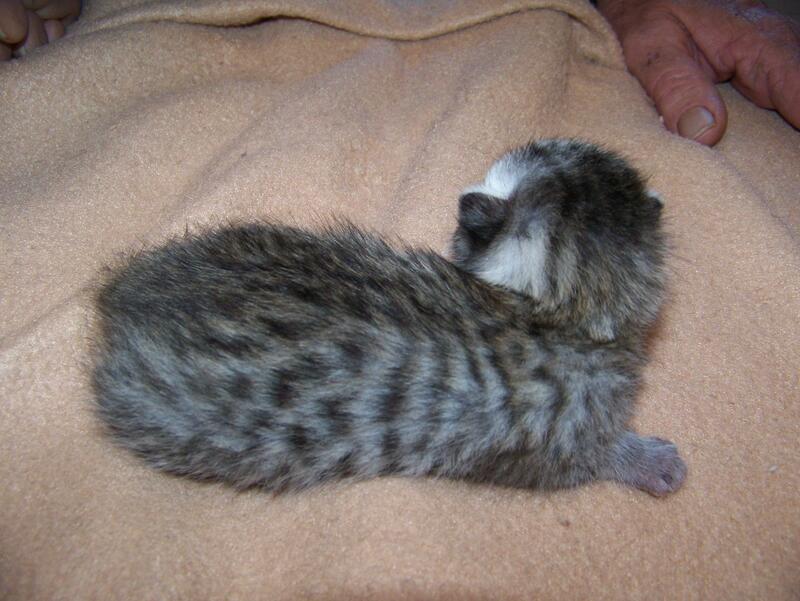 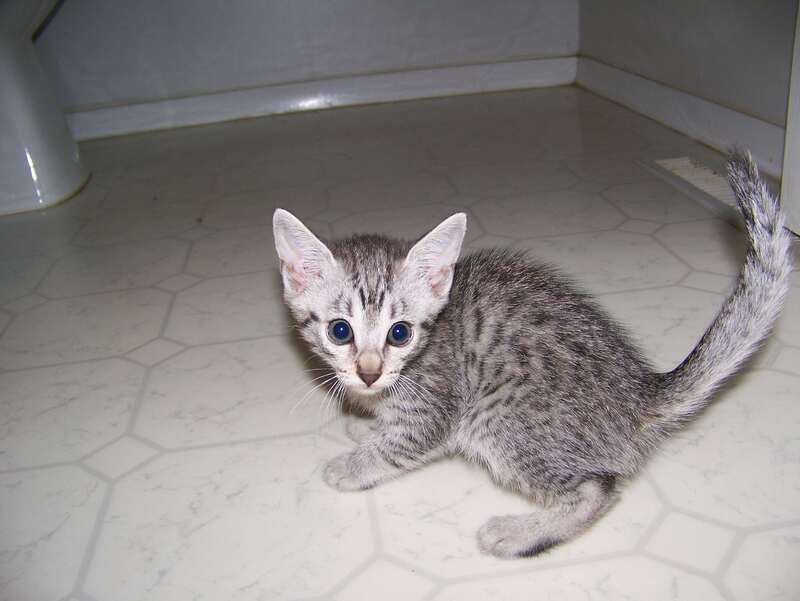 Female Egyptian Mau from Astarte and Merit shown here at 1 week and now under contract to Brandon in AR. 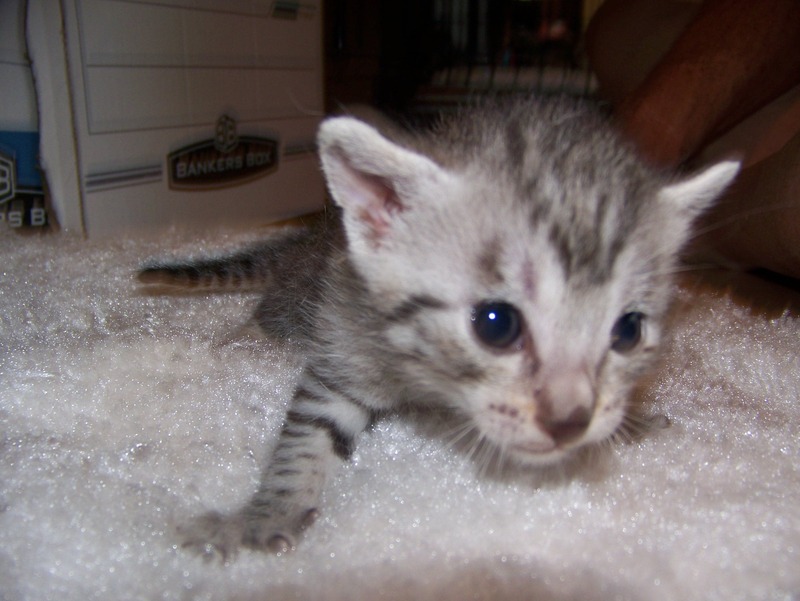 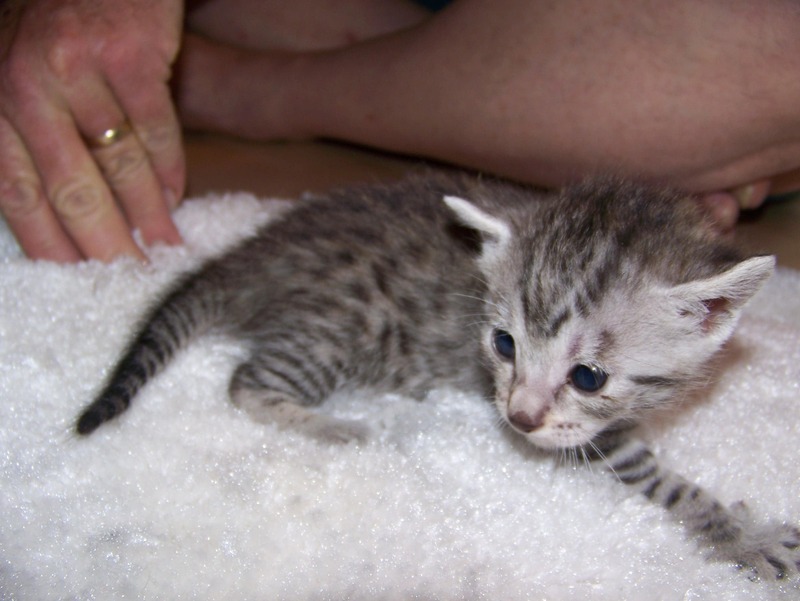 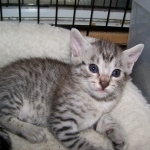 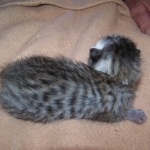 Shown her at about 3 weeks this Egyptian Mau girl will steal her new families heart! 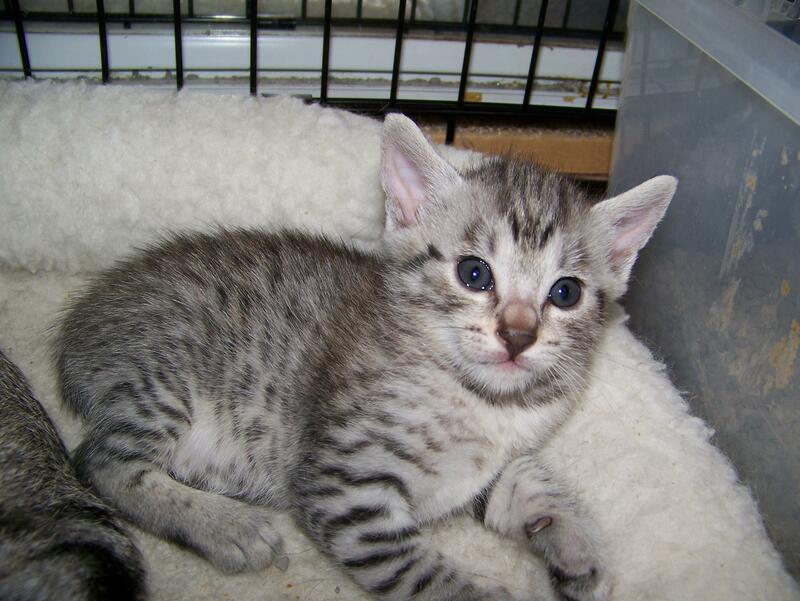 This beautitfully spotted girl is something in between in color , with great spots and sweet personality. 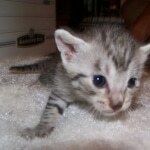 She will be going to live with Brandon in AR. 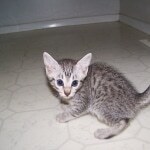 Erin Egyptain Mau female with be ready to go live with Brandon in Arkansas before you know it.